As a trained architect, I understand the influence that buildings can have on urban design. They connect people with their heritage, they give a place a unique identity, and they help create hustle and bustle in cities and neighborhoods. They can also be works of art. There are some buildings by the greatest architects, my favorite being Daniel Libeskind, that take my breath away and actually alter the way I look at the world. The greatest architecture speaks to a higher conceptual idea, and every design element of the building answers to it. Buildings have the power to truly affect people’s emotions and contribute to their lives…but they are not necessary. This was evident in my visit to Sarasota this past weekend. My weekly explorations of my new state took me to Saint Armands Circle, which was developed by John Ringling of….you got it!…the Ringling Brothers Circus. Turns out that in addition to juggling and eating fire, John Ringling designed and built one of the most loved parts of Sarasota. After travelling to Italy, he was inspired to create a “people friendly place of broad boulevards, beautiful homes, classical statues, lush landscaping, elegant shops and restaurants, and a central park for musical performances.” In 1917 he began his vision, which grew until the Great Depression. It took another two decades after that for his neighborhood to be complete. 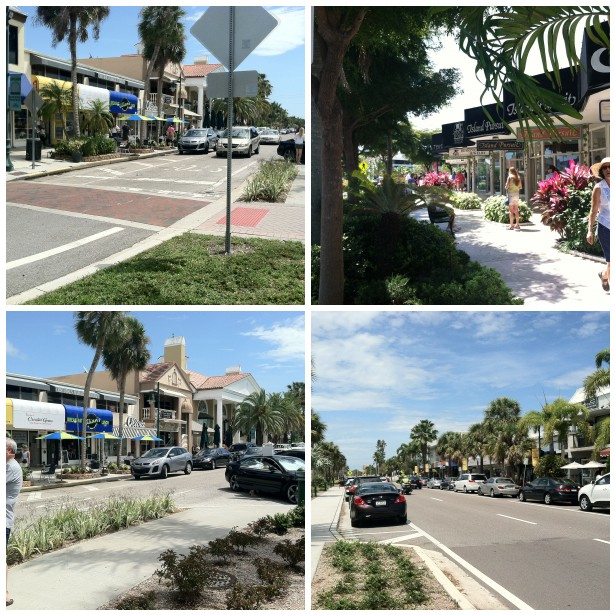 Saint Armands Circle was a very successful piece of urban design. It’s ample and pleasant pedestrian environment thrives despite it being wrapped around a road carrying high volumes of traffic. Multiple users were able to share the public realm comfortably and safely. Angled and paralleled parking protected the pedestrian further. In fact, there was parallel parking around the traffic circle, which baffled my English husband (we know how the English are about their roundabouts…) But in fact, it was perfectly safe. People were so concerned about not being able to park on the curve that they did so very carefully and slowly, further protecting pedestrians. The mixed-use area hustled and bustled on this Saturday afternoon, while the central park was quaint and quiet. The pedestrians crossings were very short and very wide. They were interjected so often by median parks that their short distance was almost cute. If a pedestrian crossing can be cute, these certainly were. It truly was charming, I didn’t want to leave. But what really struck me about this part of the city was the lack of architectural integrity in the buildings. Some buildings were nothing more than a storefront that seemed to be held up by the structures on either side. Others were built from the cheapest materials, playfully mimicking Greek and Italian style. It was laughable, and yet it really didn’t matter. No one noticed the buildings, no one cared. People just loved sitting at the sidewalk cafe people watching, eating ice cream in the shaded park, and window shopping. The activity and interaction with people is what made people love this space. And I have to say, I think that is the case of most well-loved places. Buildings do not have to be beautiful, conceptually designed, and breathtaking to make a difference. 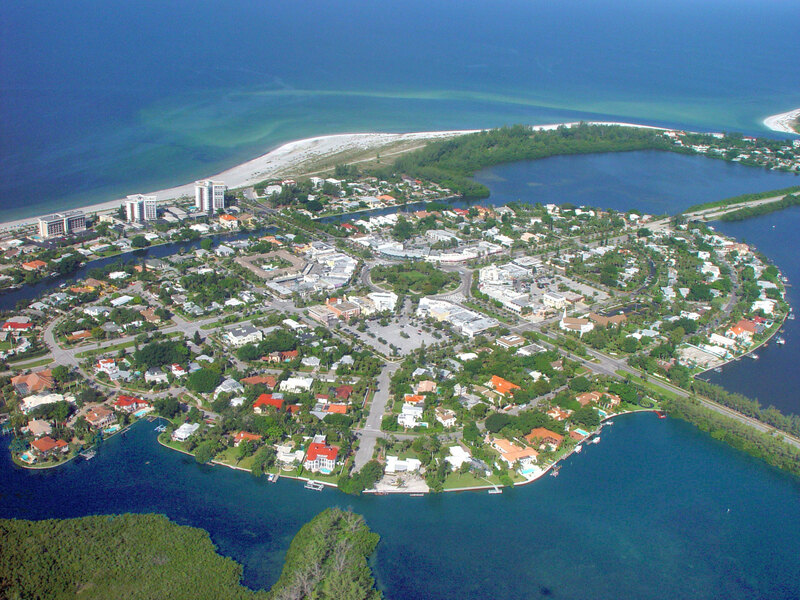 What made Saint Armands Cirle work so beautifully was how the fabric was constructed around one central point. Connected streets and perimeter blocks with dense, mixed use buildings, like so many other most-loved places, created the structure for the community and visitors to flock to it for decades. John Ringling certainly has brought us all a lot in our lives. For most of us its tricks, animal performances, and trapeze acts found only at the oldest and most successful circus in the world. We’ve all been, and it was magical. But for the lucky residents of Florida he gave us a perfect piece of urban design, which serves as a sustainable example of how to continue to construct our built environment. And remember, it’s not all about the architecture people.